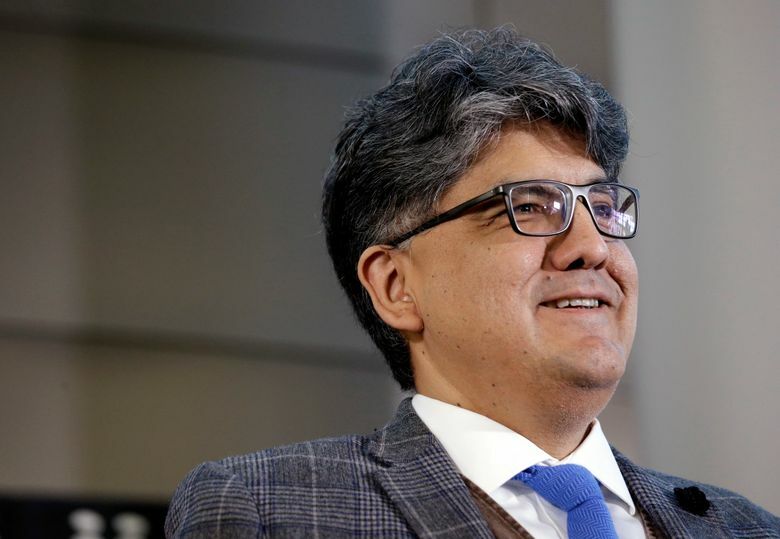 Author Sherman Alexie issued a statement acknowledging that he’s hurt people over the years, addressing for the first time anonymous accusations of harassment that have swirled for days and that prompted a college to take his name off a scholarship. Prominent Seattle writer Sherman Alexie issued a statement Wednesday acknowledging that he’s hurt people over the years, addressing for the first time anonymous accusations of sexual harassment against him that have swirled on the internet for days. In breaking his silence, however, Alexie said he rejected “the accusations, insinuations, and outright falsehoods” made by another writer who, while not accusing him of sexually harassing her, “has led charges against me,” he said. The allegations have been confined, at least publicly, to anonymous comments on blog posts and social-media feeds. But the online furor has already resulted in fallout in the literary and Native American communities, with a college renaming a scholarship that had been in his name, references to him being removed from a children’s literature blog and an upcoming book, and a national organization that had just awarded him a prestigious national prize now saying it’s evaluating its next steps. Alexie did not respond to requests for an interview. He is one of the Pacific Northwest’s best-known authors, winning some of the literary world’s most prestigious national prizes and appearing on best-seller lists. His 26 books often drew on his experiences growing up on the Spokane Indian Reservation in Wellpinit, Stevens County, and his work spanned many genres: children’s and young-adult literature as well as adult fiction, short stories, poetry and memoir. Alexie is the latest prominent figure to be swept up in the #MeToo movement, which accelerated last fall after The New York Times and The New Yorker published stories about sexual-misconduct allegations against movie mogul Harvey Weinstein. Since then, dozens of notable figures — including Kevin Spacey and Louis C.K. — have been accused of sexual misconduct. To date, the allegations against Alexie have been more vague. In his Wednesday statement, Alexie said he and Dremousis had a sexual relationship that ended in 2015. But, he said, she has continued to attend most of his public events since then. He also said that Dremousis sent an email to Alexie’s wife last October, “in which she informed her of our past sexual relationship” and later “posted something on my wife’s Facebook page that frightened my wife. “Since then, Ms. Dremousis has continually tweeted and spoken in public about my behavior, making accusations based on rumors and hearsay and quoting anonymous sources,” he said in his statement. “No!” Dremousis said after being read parts of the statement Wednesday. She said she had been open with reporters about the affair, although she had earlier told The Seattle Times it was off the record. She acknowledged contacting Alexie’s wife (although not through Facebook) to tell her “the story was going to break and to talk to the kids.” She said she was concerned about the welfare of her and Alexie’s two children. She said in an interview Tuesday, she has chosen to funnel women who are contacting her with stories about Alexie to NPR. NPR did not immediately respond to a request for comment Wednesday. During her Tuesday interview, Dremousis said she knew 60 or 70 women since 1998 who claimed to have been harassed by Alexie. Wednesday, she said, the number was up to 80. She said none of Alexie’s agents or attorneys have contacted her to contradict her accusations. Reactions have been swift since the accusations first began appearing online. On Monday, the Institute of American Indian Arts (IAIA) in Santa Fe, New Mexico, posted that it had “received several recent inquiries about Sherman Alexie’s relationship with the IAIA MFA program” and that its Sherman Alexie Scholarship has been renamed the MFA Alumni Scholarship. Institute spokesman Eric Davis told The Seattle Times that the school had no proof of wrongdoing by Alexie — neither in its own records of complaints, nor in online searches about the allegations. “We take this matter seriously and are evaluating our next steps as more information becomes available,” said Jessica Hughes, executive director of the Reference & User Services Association, a division of the ALA. The three sources Perhach referred to included two secondhand accounts and a post on the blog American Indians in Children’s Literature (AICL). Reese did not respond to requests for comment. Reaction also came from other Native American writers. Poet Joy Harjo, a Muskogee (Creek) Nation member and a friend and mentor of Alexie, said she had gotten phone calls for years from young women complaining of his behavior. Harjo declined to go into detail but wrote a poignant Facebook post on Monday. “Feeling deep grief and anger with our Native writing community in what has finally, after years, come to light about the abuses of power by one of our own,” she wrote in the post, not mentioning Alexie’s name. “There are so few representations of Native people out there. It’s hard to see those heroes fall,” Keene said, talking about why it’s difficult to have this conversation in public. Alexie’s most recent book is a 2017 memoir about his relationship with his late mother, “You Don’t Have to Say You Love Me,” a New York Times best-seller and the winner of the Carnegie Medal. A few weeks after its publication, Alexie halted a national publicity tour for the book. In an open letter posted online, he wrote of being haunted by ghosts and visions of his late mother, of depression, and of his need to “take a big step back and do most of my grieving in private.” He resumed public appearances in the fall with a few select events, including in Seattle. Alexie’s 2007 young adult novel “The Absolutely True Diary of a Part-Time Indian” won the National Book Award for young people’s literature, and his 2010 collection of short stories, “War Dances,” won the PEN/Faulkner Award for Fiction. In 2013, he was the recipient of the John Dos Passos Prize for Literature for his body of work.